April is everything month: including OT, National Humor (aka Joke) and Autism Acceptance Month. Talk about things that tick all our boxes at the clinic! Let’s start with the humor. 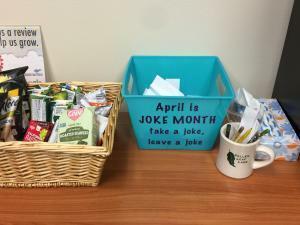 We kicked of Joke Month on April Fools’ Day, of course, and it’s a major hit. We have big joke posters hanging in our lobby with lift the flaps for the answers. Some of our clinic friends have written their guesses on the flap. And they are pretty good. Then, there’s a joke bowl: take a joke, leave a joke. There are some gems. Really. Total knee slappers. Please add to or help yourself to a tasty serving of jokes while it is on hand (right next to our free snacks in the waiting room). Remember, a healthy dose of humor is recommended every day. 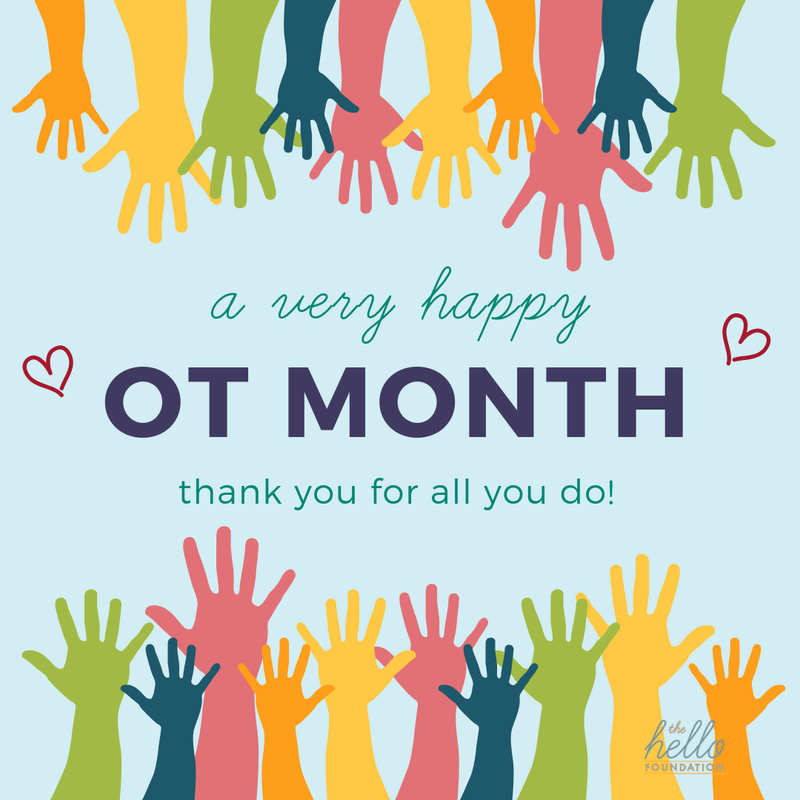 OT Month is about raising awareness and celebrating this amazing profession, sharing knowledge, and showing appreciation! Christina, and Julia, our OTs, bring so much to our team and the families they collaborate with. We appreciate their energy, humor, knowledge and the work that they do to help our clients participate fully in their lives. Here’s an earlier post where I interviewed Christina about OT month last April, and check out our other OT posts here. Center on the Social and Emotional Foundations for Early Learning: According to Christina, this site has great resources on managing behaviors, creating routines, reading cues from your child, and nurturing social-emotional development. American Occupational Therapy Association, children and youth page: She says it’s a wonderful resource, with tips on play, autism, literacy, early intervention, mental health, sensory integration, school, transitions, even teen driving. Autism Speaks has free resources on navigating school, community safety, advocacy, sleep, nutrition, behavior, and more. Ellyn Satter’s site has great info on feeding and mealtime behaviors, development, etc. Julia recommends Feeding Matters. April is also Autism Acceptance Month. We are listening to advocates with autism, such as this Dutch author, and sharing their voices, putting an emphasis on acceptance of the cool aspects of autism over awareness. Happy April Everything Month to you!